Laser hair removal in Livonia, Michigan with Dr. Kalsi is key to living hair-free. Removing body hair can be done with ease with the help of the Flawless Med Spa team. Laser hair removal treatments are a great solution for those who are sick of shaving, tweezing, waxing or plucking their unwanted body hair. This treatment works by using very highly concentrated beams of light. These light beams are directed toward unwanted hair, where they are absorbed by the pigments within the hair. After being absorbed, the energy that was carried by the light destroys the hair follicle from within. Hair can be removed from virtually any area of the human body. One of the great things about laser hair removal is that the treatment can also target small areas — without damaging any skin. Before treatment, clients will have a consultation with a clinician to ensure that they are a good candidate and to discuss what they can expect. Hair is then trimmed to just millimeters above the surface, and the equipment will be adjusted to match their particular hair type. Why Choose Flawless Medical Spa? 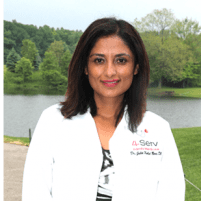 Dr. Kalsi of Flawless Medical Spa strives to stay above the competition by providing clients with the latest, most innovative treatment technology. The advanced contact cooling technology keeps patients comfortable throughout the entire treatment. If they were previously intimidated by laser hair removal out of fear that it would be painful, Flawless Medical Spa is happy to report that the procedures are virtually painless. Also, an advanced, in-motion sweeping technique that is capable of treating an increased surface area is used, which cuts down on the time that it takes to complete each treatment. As one continues to receive treatments, hair growth will decrease. Eventually, their hair growth could stop entirely. For those who would like more information on laser hair removal treatments, contact a representative of the spa’s excellent team today and schedule an appointment with Dr. Kalsi.